The Office of Distance Education (DE) supports the development, enhancement, and implementation of online, remote, and other non-traditional UNCW programs and courses. Housed within UNCW's Office of the Provost, the Office of DE is a hub where faculty can collaborate across colleges and academic departments, utilize new technologies, and optimize their courses for accessible, engaging, and flexible student learning. Our degree programs are offered online, face-to-face (remote sites), or in a blended format. Online programs typically have no face-to-face meetings and may be completed from remote locations. Blended programs (also called hybrid) are a combination of online and face-to-face courses. Remote site classes are offered in Onslow County at Coastal Carolina Community College and Marine Corps Base Camp Lejeune. 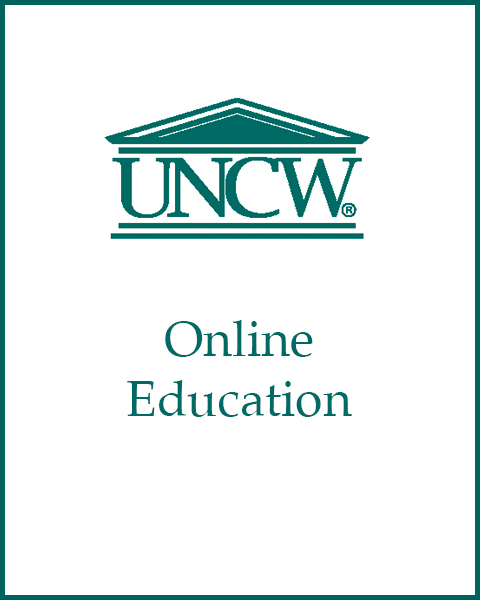 UNCW currently offers online degree and certificate programs in business, education, health, liberal arts and other disciplines. In addition, degree completion programs are offered at UNCW@Onslow, UNCW's extension campus located in Onslow County. For more information about online programs click here. Profile image and contact information for Online Education staff.